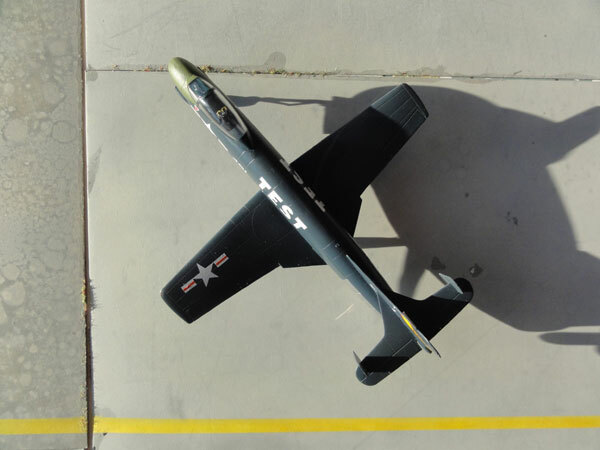 The Chance Vought F6U Pirate was typical one of the earliest jets developed after the second world war, pioneer of the jet age for the US Navy. 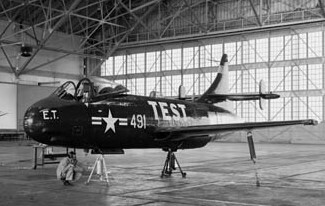 Development started during the war and the swept wing concet was still unknown. 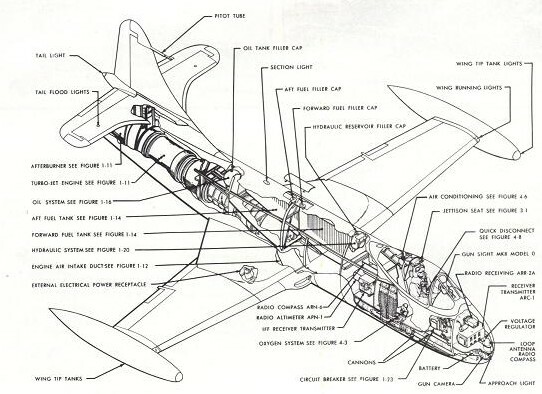 The Pirate prototype used one of the first american jet engines, the Westinghouse J34. It was quite unreliable . 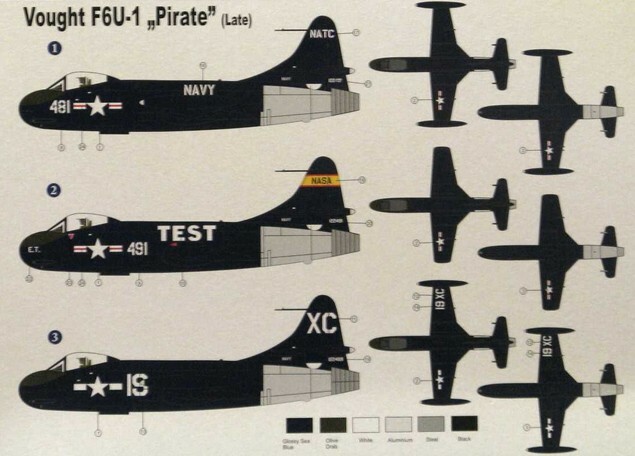 For the US Navy, some 30 aircraft were ordered in 1947. 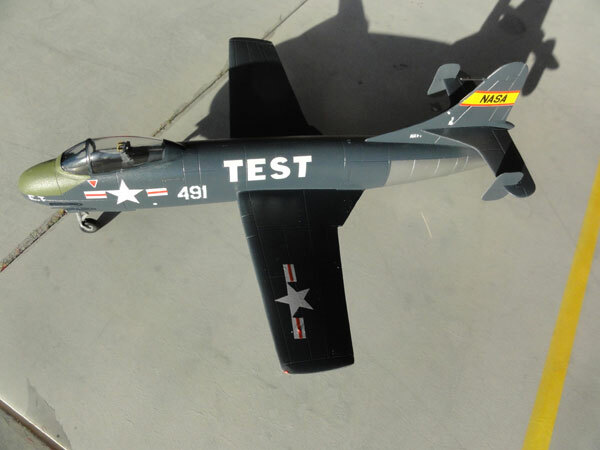 The Pirate had one of the earliest ejection seats and special were the vertical fins fitted on the stabilizer. 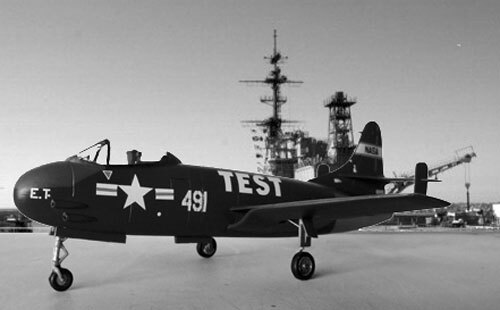 The first production F6U-1 had its first flight June 1949, and 20 of the aircraft were provided to US NAVY VX-3, an operational evaluation squadron based at Naval Air Station Patuxent River in Maryland USA. 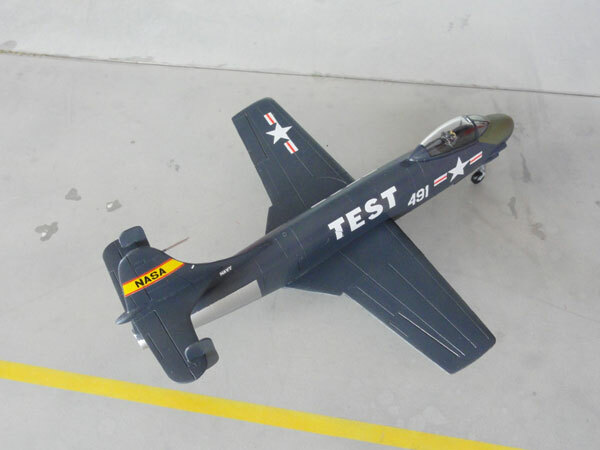 Pilots did not like the type with only marginal performance. 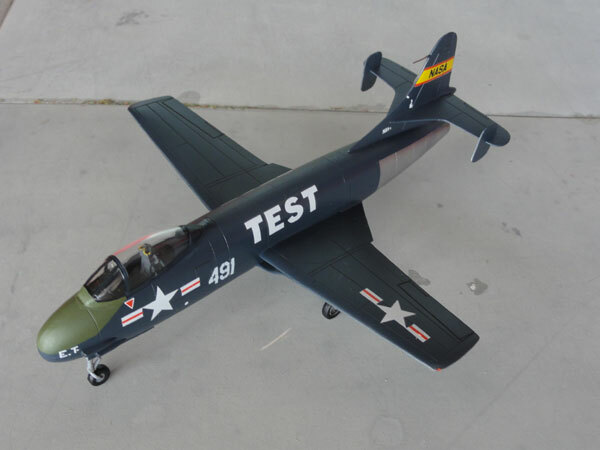 It was thus not an aircraft to be produced in large numbers and quickly better other aircraft types became available, also fitted with a swept wing for higher speed like the Panther. Only 30 Pirates were produced. No good kits existed of the Pirate in 1/72 scale and Admiral (which is a brand from AZ model / Legato) came with a short run injection kit beginning 2012. So this is a welcome kit. Panellines are engraved and adequate. 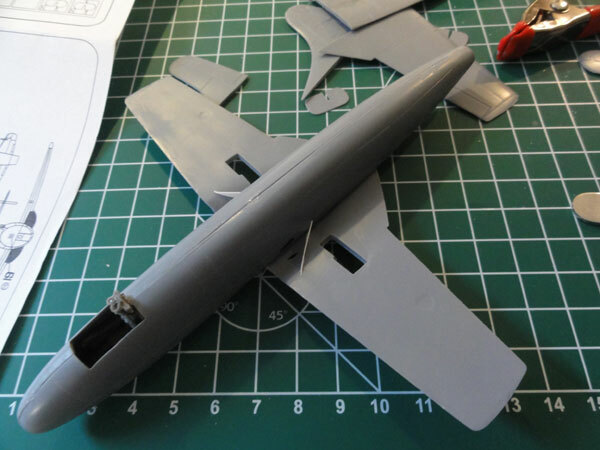 On two grey sprues some 40 parts are seen with a resin sort of cockpit tub where the seat is moulded in with the cockpit tub. The cockpit is very small and good enough at this scale. A etched metal fret with some smaller parts including an instrument panel. Also a photofoil instrument panel is also included. 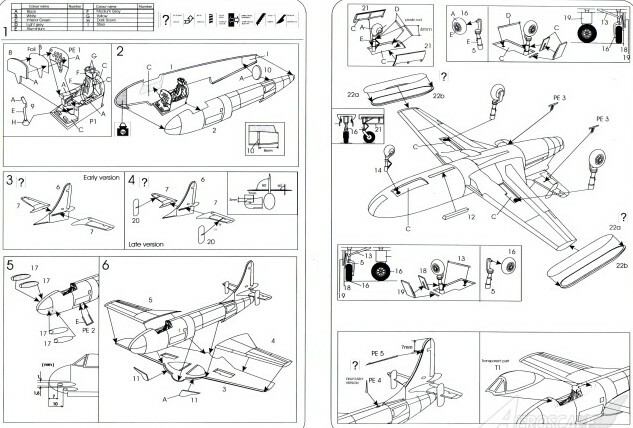 For the last one, I never see to understand what the real added value is as things are so small. 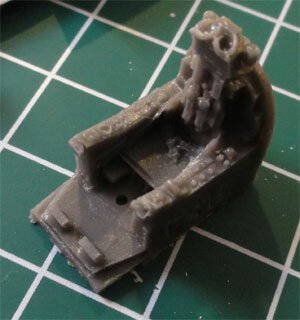 The cockpit canopy is injection moulded and clear but could be better. 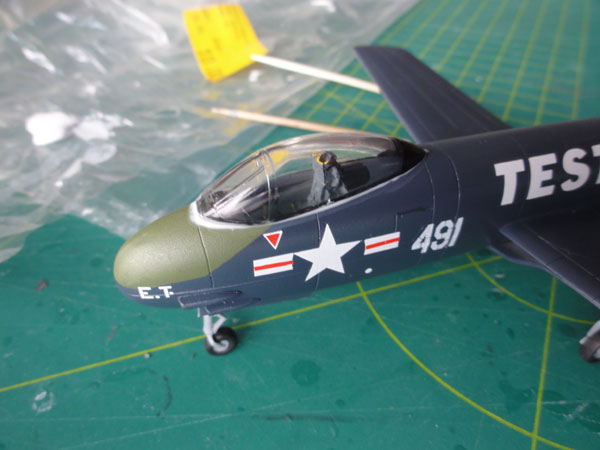 Decals are a bit simple and the stars-and-bars have not the blue as the basic plane is Gloss Sea Blue. The interior cockpit is very small, a tub provided from resin. This got various colours painted. Inside the intakes a piece of card was fitted to suggest a duct. On the wheel bays no side walls are included, so these were made from card with ample amounts of white glue to close the gaps. A job quickly done. 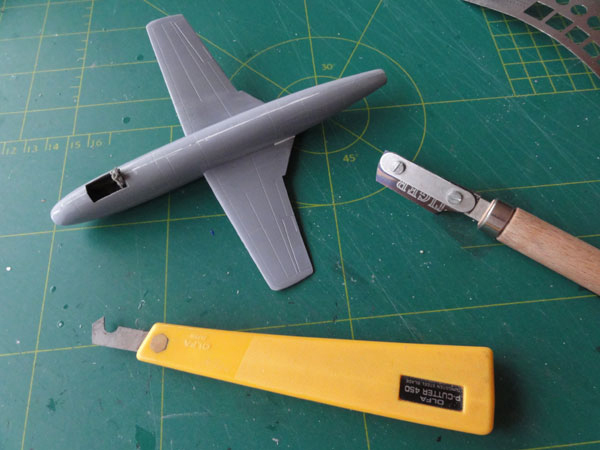 The kit assembly needed quite some filling with putty but otherwise it is very simple. Some sanding was indeed needed. 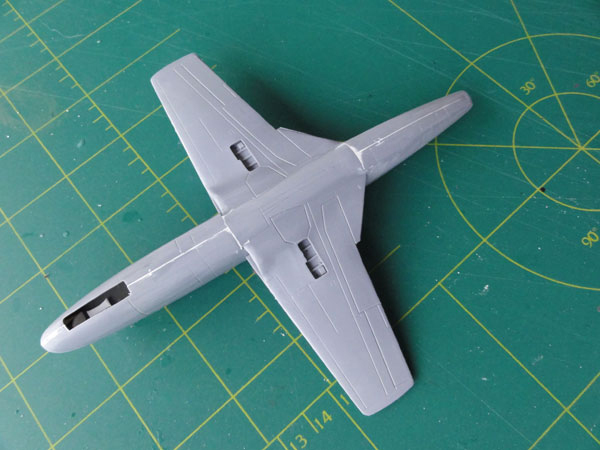 The model got a base coat of grey with the airbrush. 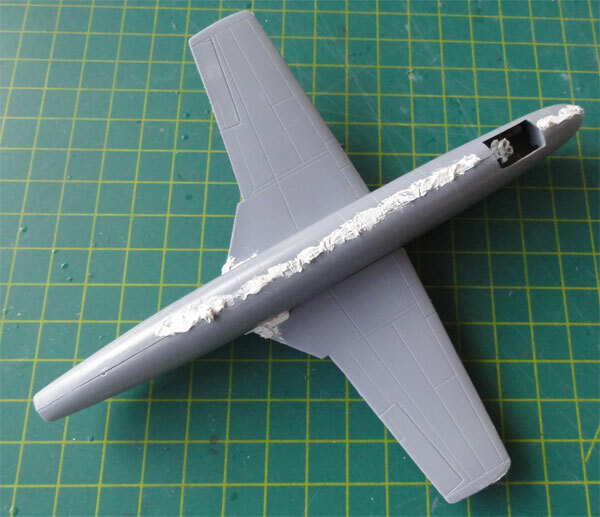 Correct any flaws with putty as needed. 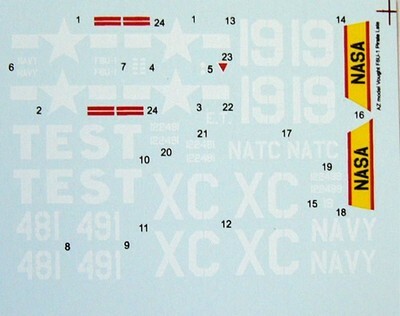 Some panellines were re-scribed with a Olfa P-cutter 450. 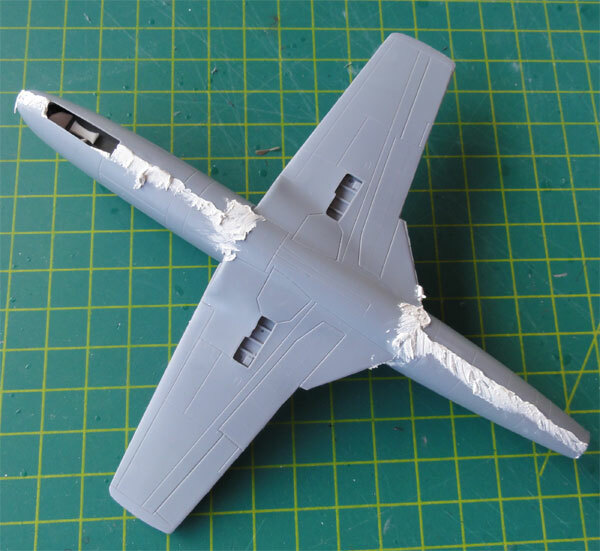 The ailerons' edges were sawed in with the TIGER razorsaw. The general colour is Fed. Standard FS 25042 Gloss Sea Blue, for which WEM WEMCC ACUS 07 enamel was used. (Alternative paints are also widely available for the Sea Blue). 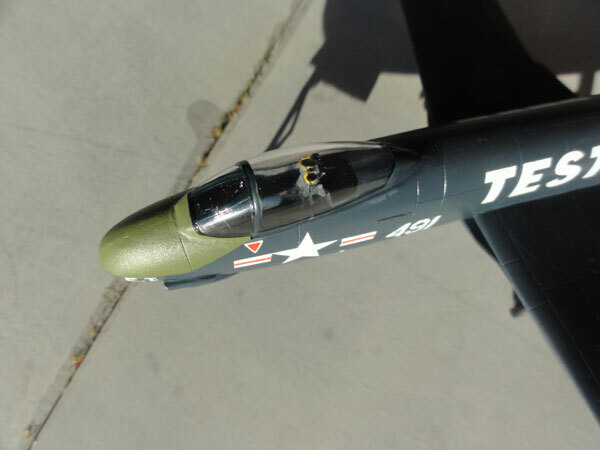 At the tailareas, metal coats were hand painted. A green anti-glare panel was airbrushed after masking the area. 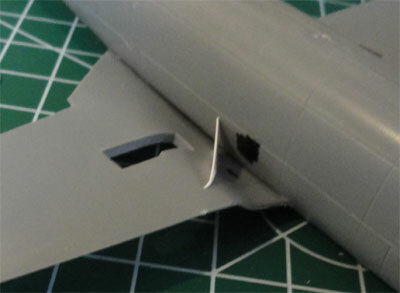 The wing tip tanks have no clear englazing, the tanks were not fitted. 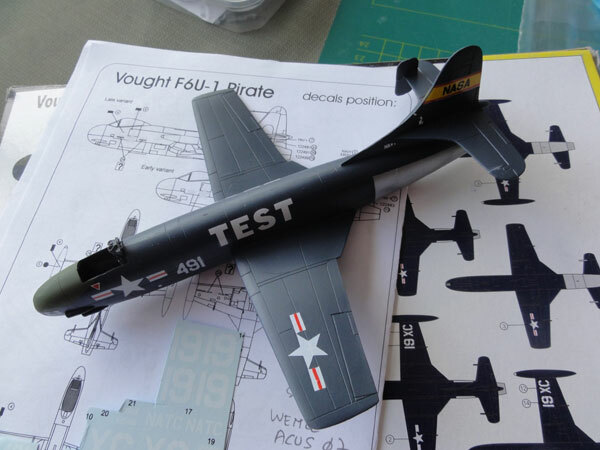 The decals were applied, picking the NASA scheme to get some extra colour to the model with TEST markings. 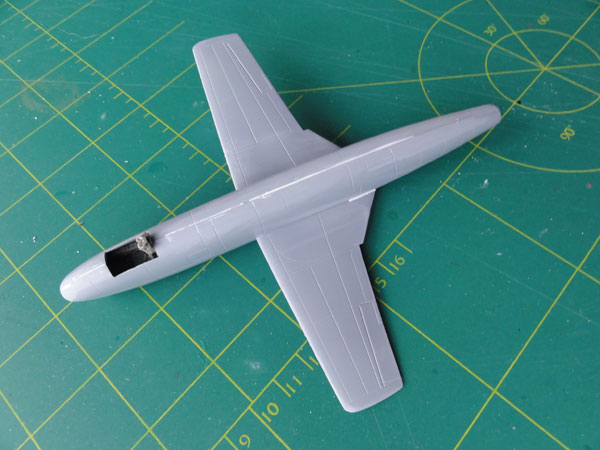 Finally, the model details were added like the undercarriage, small pitot at the vertical fin made from a needle (not using the etched kit part). 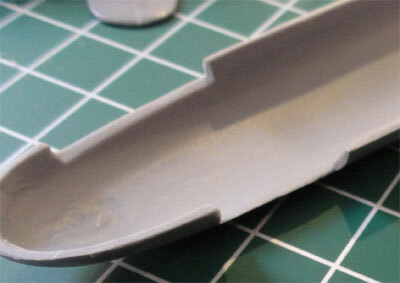 The canopy fit required some white glue to close the gaps as seen here.... After drying, paint. 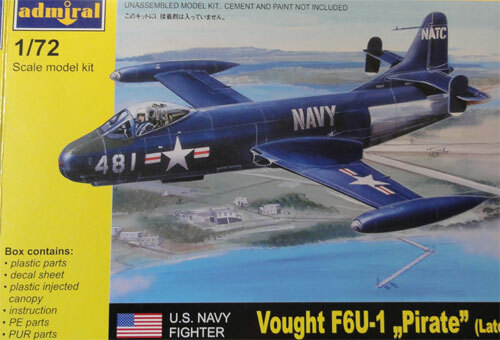 A nice kit to have the Pirate in the US NAVY collection.